PORTRAIT/“I had a dream.” It was with the words of Martin Luther King that Prince Albert II began his reign in 2005. Here, we take a look back at the career and the personality of a Prince seeking to make his mark. 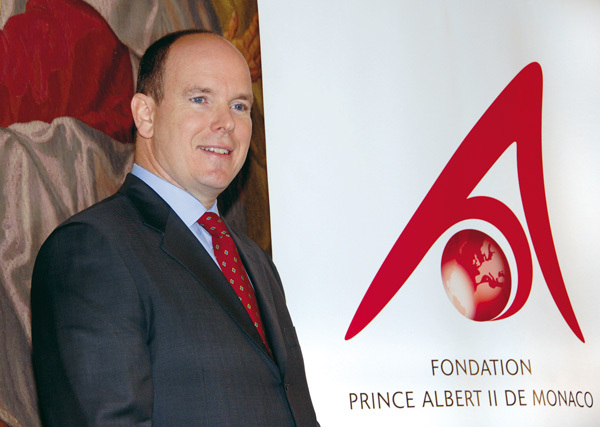 It is impossible to understand Prince Albert without remembering that this is a prince of two cultures, a man of two continents,” says Minister of Health and Social Affairs Stéphane Valeri, who has known him since 1987. “He is Monegasque first and foremost, and European, of course. He is the son and heir of Rainier III, who represents the tradition and authority of a long dynastic line. But through his mother, he experienced the great spaces of America. He lived and studied in the United States. He liked the campus environment there, where sports-minded academics can flourish unlike anywhere else. He acquired an openness to the world, which enriched his roots.” This key to understanding the Prince offers a better insight into the personality of the Head of State, who has now been in power for ten years. The middle child of three siblings, Prince Albert grew up in a family of two cultures. He is also very close to his American first cousins, Chris Levine Senior and Chris Levine Junior, who he chose to be a witness at his wedding and godfather to his son, Jacques. “His mother was the one who cemented the family together, she influenced him a great deal,” maintains a childhood friend. In his early years, he was educated according to the Montessori method, at the Palace. “That was something new in Monaco, and it no doubt contributed to opening up the mind of an already curious child,” recalls Louisette Levy-Soussan-Azzoaglio. Levy-Soussan-Azzoaglio, Princess Grace’s private secretary who later became Albert’s private secretary, was there when he was born. She recalls a boy who was “cheerful, reserved like his mother, and always very thoughtful, though he was forever teasing his sisters, Caroline and Stéphanie, playing tricks on them… He asked questions all the time, he was very observant.” He attended Lycée Albert I, where he achieved a good pass in his baccalaureate exams in 1976, then left to pursue his studies at Amherst College in Massachusetts in the US. Political science, economics, psychology, English literature, history of art, anthropology, geology, philosophy, sociology, German and music… His education was rounded and enabled him to subsequently intern with international companies in the United States and Europe, in the fields of communications, financial management and marketing (Morgan Guaranty Trust and Rogers & Wells in New York, and Moët-Hennessy in Paris). “Those American years were some of the best years of his life,” says one of his oldest childhood friends, who explains that the anonymity gave the Prince a measure of peace. With a family which was a huge favourite of the tabloids and gossip magazines, the young prince had already had to deal with enormous amounts of media coverage: “Two or three photographers, tipped off by their networks, were always hiding out close to the Grimaldi family. I remember when we were seven or eight, we came out hidden under blankets with the driver in order to escape the paparazzi… There were several memorable chases,” recollects a friend of 40 years standing. To beat the media frenzy and avoid ill-timed photographs, Prince Albert learned a few tricks, making use of Parisian buildings with two entrances… He would continue to have little enthusiasm – and that’s an understatement – for the media. 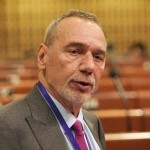 Particularly since the articles about his private life have never really stopped: “Since 1994, I have had to act on behalf of Prince Albert and Princess Stéphanie more than 700 times – it is to them that I owe my specialisation in media law!” declares Thierry Lacoste. In September 1982, the death of Princess Grace, which was so brutal, was, of course, a decisive moment in the young man’s life. “He became more mature and grasped his responsibilities,” recalls Louisette Levy-Soussan-Azzoaglio, who was appointed his private secretary at that time, a post which she continued to hold until her retirement. This was also a period during which his workload increased significantly. “The role of Hereditary Prince is a job that you create yourself. He had meetings with people who told him about their problems and their projects, he got involved with the Red Cross. Prince Rainier was already sending him overseas as a high profile ambassador. He expanded some areas, such as sport. It’s quite something to establish a bobsleigh federation in a country with no snow…” she says. What other future head of state has participated in five Olympic Games? A member of the International Olympic Committee since 1985, he led the national bobsleigh team from the 1988 Games in Calgary until the 2002 Games in Salt Lake City. An extraordinary performance which is now being turned into the screenplay for a film, Royal Ice. “It’s a very tough sport. His endurance has proved useful to him in his daily life, not least in fulfilling his crazy schedules,” notes the current Chair of the Club des résidents étrangers de Monaco (CREM, Monaco Foreign Residents’Club). “He’s a sportsman, who likes sporting values such as fair play as well as the sense of competition,” explains Michel Aubéry, former Vice-Chairman of ASM-FC and current president of the fan club. Michel Aubéry was his coach when the Prince, then “a very physical right back”, became a member of the Promotion d’Honneur at ASM in 1991. “He came to train at the Moneghetti stadium, with no fuss.” The two men met in the Munegu Aoto team, a team of friends started up in 1979, better known under the name “Barbagiuans”. “At that time, when the Prince had fewer obligations, we went on a world tour, playing against local teams,” remembers Aubéry, who still smiles as he remembers walking out onto the pitch of the legendary Estadio Azteca in 1982. The team included Jean-Pierre Siri, Gérard Brianti, Michel Pastor, Aleco Keusseoglou, the Ravano brothers and Georges Bertellotti. 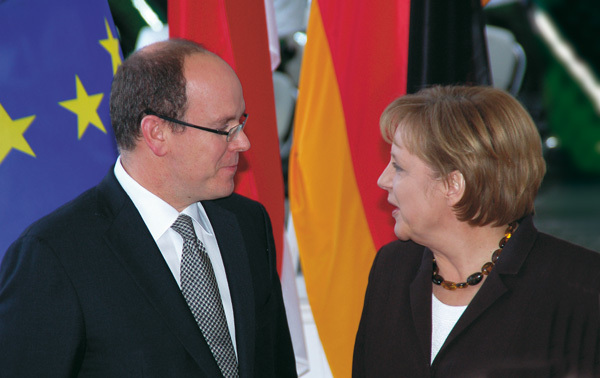 In 2005, when he took power, Prince Albert reached a milestone. First, a personal milestone. “It is, of course, impossible to speak for the Prince himself and say what he felt on the death of his father, beyond the emotional response, about the overwhelming nature of the task ahead. Nothing would ever be the same for him again. He had been preparing for it since childhood, but when the time came, who would not have asked themselves if they were truly ready, if they were able to live up to expectations?” Stéphane Valeri emphasises. Albert II was Hereditary Prince for a very long time, which must have been an uncomfortable position. “If he did nothing, he wasn’t there. If he was too active, it would have been taken as a sign that he wanted to push his father towards the door,” a close friend judges. In the end, on the day of his accession, 12 July 2005, the new Head of State made an eloquent speech which was perfect for the occasion. “He is someone who never panics, and that was the first time I saw him stressed, just before he went up to the platform,” recalls a source close to the Prince. It must be noted that his words were loaded with meaning. The Prince borrowed Martin Luther King’s famous phrase, “I had a dream”, and dreamt of a Monaco which would be “a model society and a society model.” It was a unifying and utopian speech which saw ethics as a way of life. A natural approach, since the Kelly family, from Ireland, was close to the Kennedys and the values of the Democratic Party. The Prince’s models were Martin Luther King and Nelson Mandela. “He was aware of the Kennedys’fight against racism: their battle for black civil rights following on from the fight for Catholic rights,” notes Stéphane Valeri. 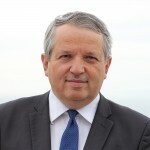 To implement his policy, Prince Albert appointed Jean-Luc Allavena, the former number two at Lagardère media group, to head his cabinet in September 2005. Allavena, a Monegasque national and a graduate of HEC Paris, was a trusted confidant, a childhood friend of the Prince. The pace during that first year was brisk: there was a need to establish the executive. The constitutional monarchy was clearly affirmed, notably during a debate in the National Council in January 2006. The broad outlines were set out: transparency in the financial sector, a policy of non-intervention in legal affairs, and making Monaco a credible force on sustainable development issues. 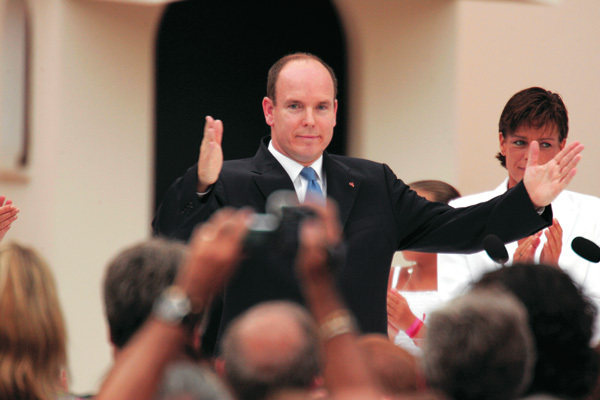 Yet in 2005, one could say that Prince Albert was isolated on the issue: a number of bankers went to the Palace to claim that transparency would signal the death knell for Monaco’s banking industry… Later, another decision would be taken in the face of unanimous opposition: the cancellation of the first competition for the land reclamation project at the end of 2008 (a new land reclamation project at Anse du Portier would be launched in 2012). “A decision that turned out to be extremely wise, since the subprime crisis would hit a month later. 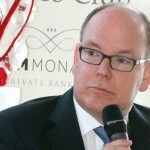 The banks would have been unable to put millions of euros on the table,” says a source close to the Prince. 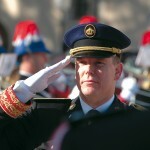 Internally, Allavena’s departure in 2006 marked a change in direction. An end to the tension between the cabinet and the government – at that time, the talk was of a dual executive. There was a return to a more traditional approach: “The Prince guides and leads the policy of the nation, and the government implements it.” The personalities changed. 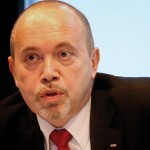 In the cabinet, Georges Lisimachio was very different to Jean-Luc Allavena, and soon, new minister Michel Roger replaced former Paris police chief and friend of Claude Guéant, Jean-Paul Proust. Different characters, different tempo. Another thorny issue was the reform of the law on judicial structures. 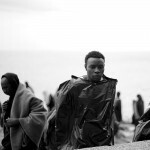 “This was a particularly sensitive issue. It was difficult. On the one hand, the Secretary of Justice wanted as little change as possible, and to limit the powers of the High Council of Judges and Prosecutors, created by the law, to a consultative role on managing the careers of judges. On the other hand, some judges and some members of the Council wanted all decisions taken by this pluralist body, for which they were seeking more power, to be compliant and binding on all… There was a huge amount of back-and-forth and discussion. With the Head of State, we found a balanced compromise, resulting in the new law passed by the National Council,” recounts Stéphane Valeri. 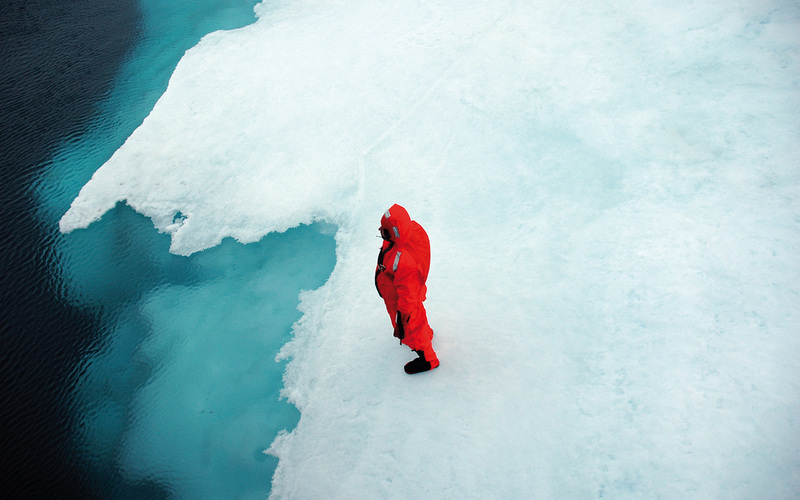 Walking in the footsteps of his ancestor Albert I in Spitsbergen in summer 2005 certainly contributed to Albert II’s commitment to protecting the environment. The objective of the mission, led by specialists from the marine environment laboratory and the Oceanographic Museum, was to conduct scientific surveys to analyse global warming. The experts then noted that the face of the Lilliehook glacier in northern Norway had melted by 40%. Robert Calcagno, who had joined the Prince’s first cabinet, was responsible for economic and financial issues, but also the environment. “Immediately, the Prince wanted to create his foundation and take action on sustainable development. From our very first meetings, he also talked to me about the Institute of Oceanography and the problems with governance there. One of my roles was to change the statutes, and this was quickly completed, notably with support from President Chirac and France.” After a spell in the government, Robert Calcagno succeeded Jean-Louis Etienne at the head of the Oceanographic Museum in 2009. “Today, the Institute of Oceanography has repositioned itself as a global player on policy to protect the oceans. Together with the Prince Albert II Foundation, we have created the Monaco Blue initiative. It is through this annual meeting with politicians, the media and companies that we are doing work on sharks, jellyfish and protected marine areas.” In brief, through these different media (the Foundation is also financing the Solar Impulse round-the-world trip and the aircraft’s control room based in Monaco), his action on climate change is global, in advance of the Paris Summit, COP21, in December. 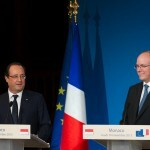 “Indirectly, I know that François Hollande is counting on him. Fabius too. Today, the voice of the Prince on environmental issues is an important one,” says a close friend. His friends have watched the Prince, once nicknamed “the eternal bachelor”, become a loving father and considerate husband. “I saw how the birth of his children changed him. When he called me to tell me that Charlene was pregnant, he was so proud. He radiated that enormous inner joy that every man feels when he is going to become a father,” says a childhood friend. Before further explaining: “He is a discreet man. He’s not going to be jumping up and down or running around all over the place. But at the birth, I felt something significant, a sense of relief, because he had a huge weight of pressure on his shoulders about his heir.” Media pressure and popular pressure, reminding him of his “dynastic obligations”. “He goes at his own pace, and doesn’t allow others to dictate his behaviour. So, entirely naturally, he chose a woman of character in Princess Charlene,” believes the same friend.